As a foodie, its really hard for me to list down my favorite food or restaurant as I want to be adventurous when it comes to food and discovering new food places. So after some careful introspection, here's my list of 2014 Best Restaurant and Food Discoveries. A nice beginning to discover a new dish last January 2014 - I immediately fell in-love with the Truffle Gorgonzola Pasta at Kettle. Kettle is still a relatively new restaurant last year but it has already attracted a lot of loyal patrons because of the good food that they serve. It was really a toss between the pasta and Kettle's famous Buttermilk Fried Chicken. This is not really a new restaurant but I haven't eaten at Cafe Adtriatico for a very, very long time. So for the month of February, I got re-acquainted with Cafe Adtriatico again. I used to work somewhere in Malate area before so that's when I discovered the restaurant and that's like more than a decade ago. In March, I was invited to be one of the blogger-judge for Foodgasm and I had my first taste of Pierogi. It's a Polish dish similar to dumpling. The skin of the Pierogi is much more chewy than the Chinese or Japanese dumpling. Summer is here and April is the best time to head off to Baguio City and enjoy the cool air and walk under the pine trees. A salad is salad but with edible flowers? Mother's Garden Cafe serves this floral salad. The flower is called nasturtium and its one of the most popular edible flowers in the neighborhood. I had my Lara Croft moment when my friend and I travelled to Siem Reap last May. 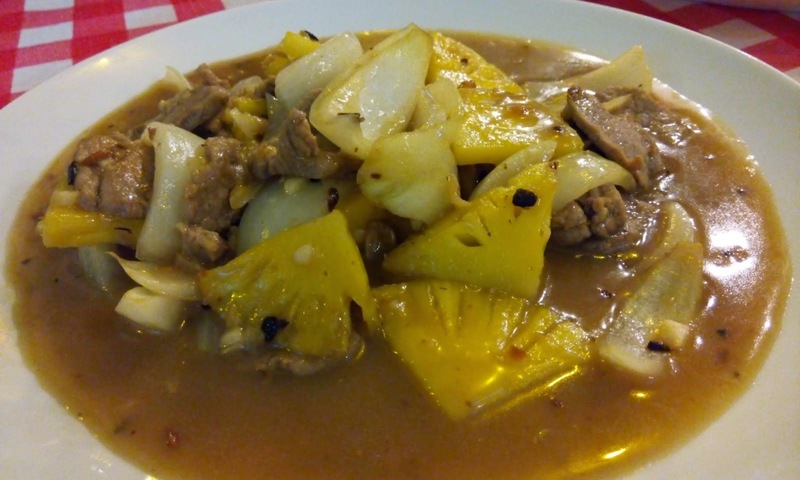 There are many interesting dishes and yummy dessert to eat but the beef with pineapple tops my list. Green Tea is a difficult flavor to play with since the wrong "dosage" can break or unbreak the food. But the Japanese has perfected it and I just had the yummiest Green Tea ice cream in June. July was exciting. I was fond of watching Korean Dramas that eating Korean food is already ingrained in my mind. Dining at Woo Galbi restaurant in the East Wing of Shangri-La Plaza is such a memorable experience that we've visited the restaurant on more than several occasions. September brings in old and new discoveries. Slammin Mini Burgers re-branded itself from Slammers. We enjoyed the tiny burgers at Slammers years ago and I'm happy that they're back. Giovanni's meanwhile is a new Italian restaurant in Cubao. Flew to Cebu last October to attend my friend's birthday and Pino Filipino Cuisine's Lamb Caldereta left a lasting impression that I wish Cebu is just a stone's throw away. 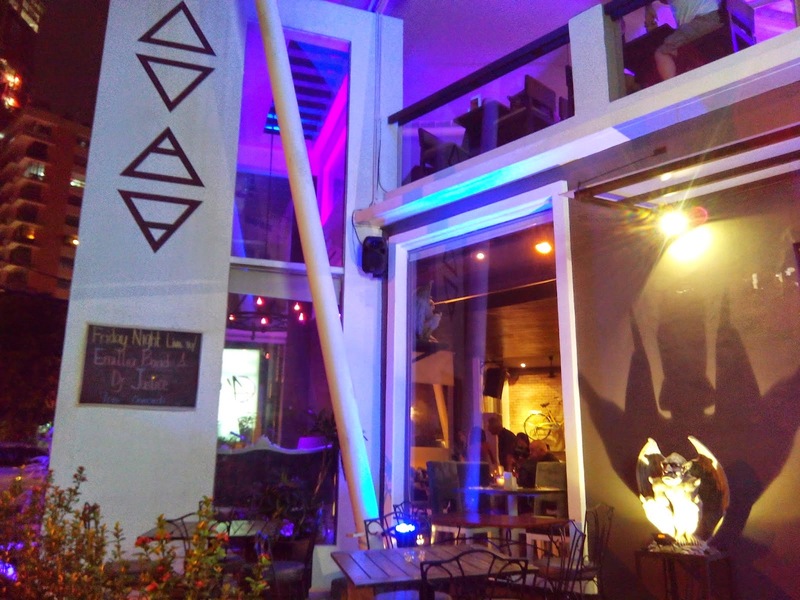 Lovely night to dine and wine at Alchemy RestoBar in Makati last November. The brick-oven baked pizza was so good with the white wine from Le Cellier. 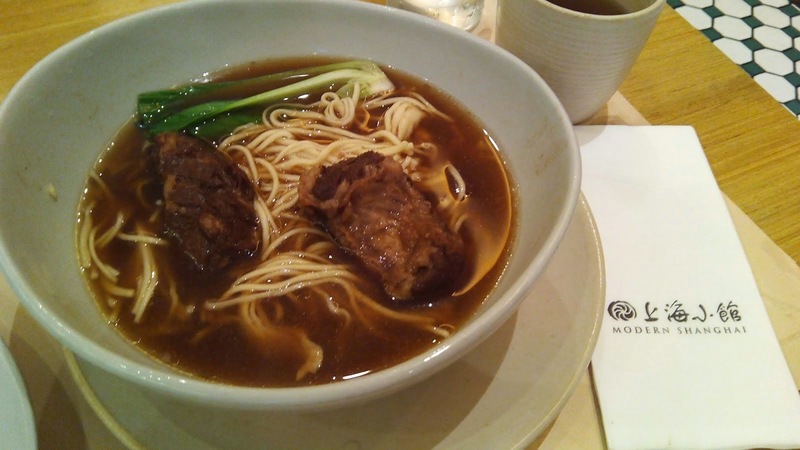 December may have been the last month of the year but it turned out special because of this Braised Beef Noodle at Modern Shanghai. It was really a surprising discovery just a few days before 2014 official ended. Thanks. I already have several new discoveries this January. Goodbye diet! Oh my gosh! I'd like to try those edible books! Ay nagutom ako sa post na to. Haven't tried most of the restos here. Thanks for this list, I think I should go and try it. I'm having trouble choosing which among these dishes is the best, but that lamb caldereta just looks divine! I love the lamb caldereta also.. sadly, Cebu is too far! Those are really interesting finds! 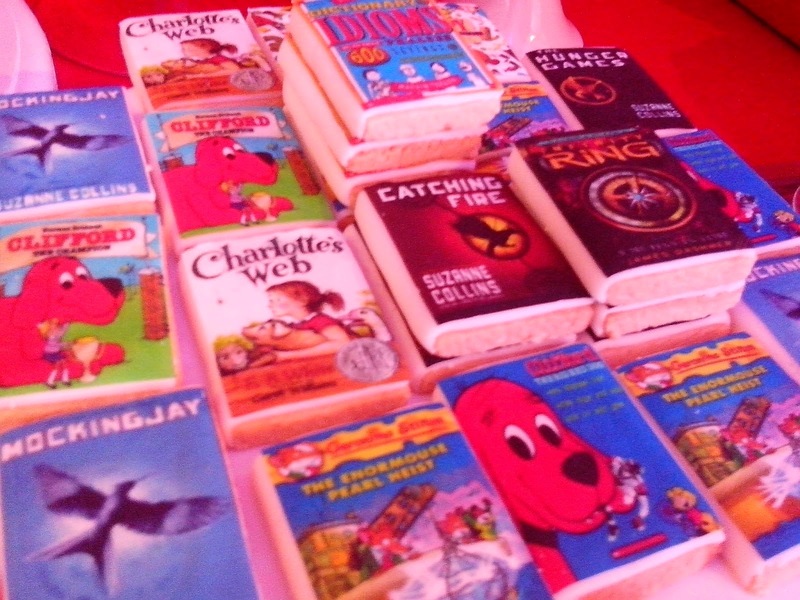 I especially like the Scholastic cookies. Hope I can attend this year. I also loved Modern Shanghai. Food is really good and worth returning for. 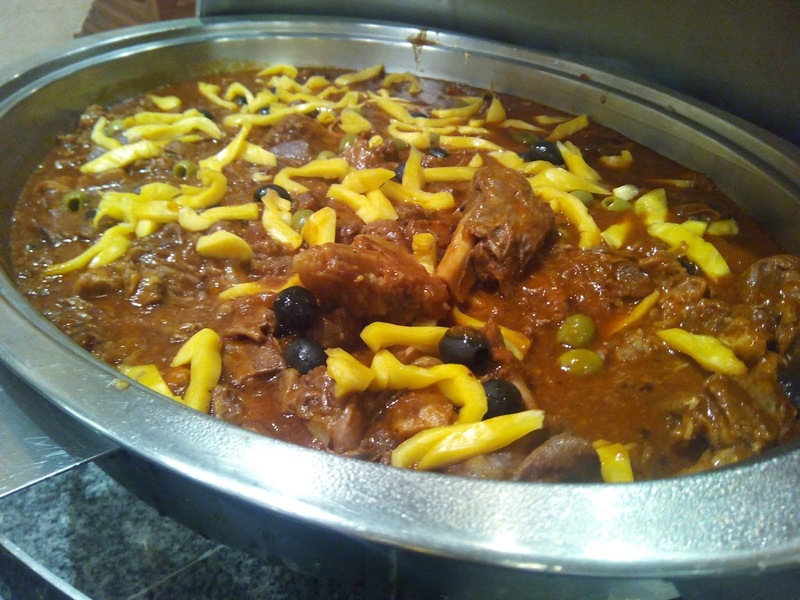 Would like to try the lamb caldereta! Planning to go to Baguio this vacation and need to visit that Mother's Garden cafe for their edible flowers! I am craving on this yummy food. Actually I am a foodie and love to eat outside. Usually I go to the domestic San Francisco restaurants but sometimes my friends and I visit the restaurants in nearby towns.